The outstanding work of UNRWA has an immediate effect by meeting the urgent humanitarian needs of millions of Palestine refugees in the West Bank, Gaza, Jordan, Lebanon and Syria. At the same time, this work provides a foundation of hope and dignity – serving as a critical conflict prevention mechanism in a turbulent region and moving our world closer to the promise of the 2030 Agenda for Sustainable Development to leave no one behind. For decades, UNRWA’s high quality education has set the standard in the region. Gender parity has been the norm in schools for generations, an extraordinary accomplishment anywhere, let alone in a region that has struggled with this issue. UNRWA health care has attained near universal immunization. UNRWA microfinance programs have invested $500 million in small business, with a focus on female-led households, raising Palestinian families out of poverty. And UNRWA’s food assistance to 1.7 million refugees keeps hunger at bay. All these efforts have taken place in an environment of chronic economic hardship and conflict. I am deeply grateful to the governments that have already contributed to UNRWA this year. Many of you advanced your funding, which provided the breathing space for UNRWA to react to its unexpected financial crisis. At the extraordinary ministerial conference in Rome and the League of Arab States Summit in Dammam, many more countries stepped up. Thanks to $200 million in new funding, UNRWA has been able to maintain its vital services. At the same time, UNRWA has taken extraordinary measures to reduce its expenditures by an additional $92 million. It has launched the campaign Dignity is Priceless to raise funds from individuals. It has received funding from the Central Emergency Response Fund, as well as from new mechanisms, such as a partnership with the innovative Education Cannot Wait fund. It is developing a Trust Fund with the World Bank and the Islamic Development Bank; it developed itself an endowment fund as proposed by the Organization of Islamic Cooperation. In short, UNRWA has reacted swiftly to the crisis — seeking all available tools, reaching out to traditional and non-traditional financing. In time, I believe these efforts will create a sustainable funding base for UNRWA’s future. But these innovative efforts will not be sufficient to fully close the funding shortfall this year. 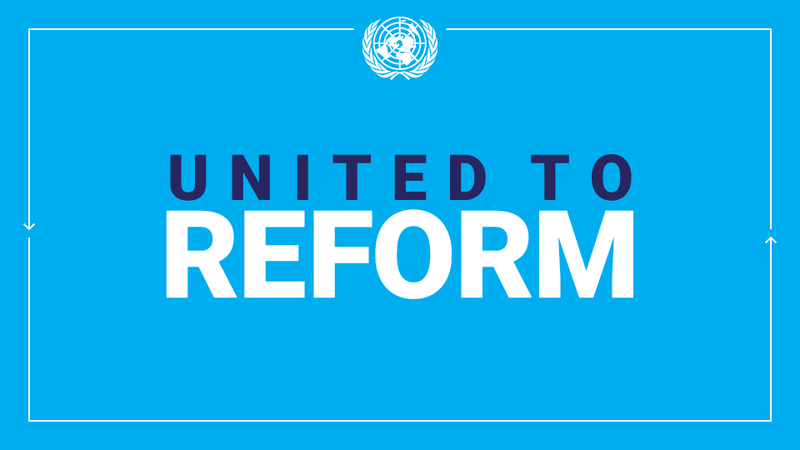 We count on you, the Member States of the United Nations, to make up the difference. At the General Assembly, the international community made a collective commitment to provide assistance to Palestine refugees. I know too well the pressure you face when demands are great and resources are scarce. But we cannot afford to allow UNRWA’s vital efforts to falter. Failure to provide desperately needed resources comes with a price. More hardship for communities. More desperation for the region. More instability for our world. We need look no further than Gaza to see people who have suffered for too long and whose existence becomes more precarious by the day. Last year I travelled there and met with UNRWA students. They spoke with eloquence and maturity about their situation, their aspirations, and the need for peace. We must not abandon them. We must do everything possible to ensure that food continues to arrive, that schools remain open and that people do not lose hope. Across the region, millions of Palestine refugees are counting on us to relieve their suffering and to help them to build a better future. They are counting on us for action now. I urge all of you to join together to close UNRWA’s funding gap. It is a wise investment for today and for the future.